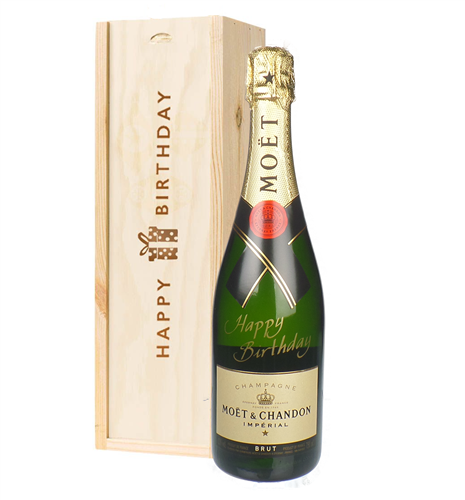 This is a great gift to help celebrate a birthday. 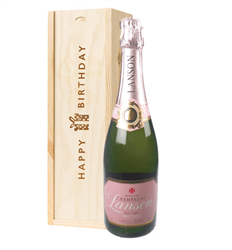 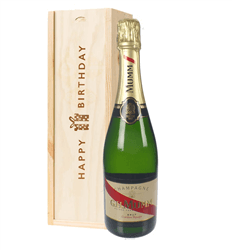 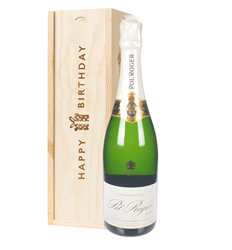 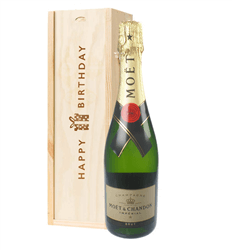 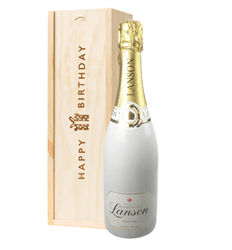 A bottle of the famed Moet Chandon Champagne with a 'Happy Birthday' message written in gold along the bottle. 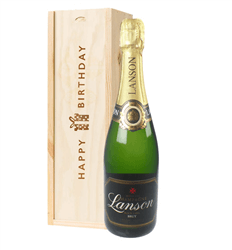 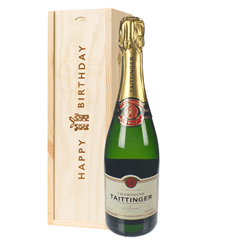 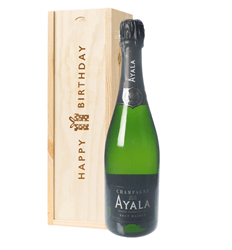 Presented in one of our 'Happy Birthday' branded wooden gift boxes to ensure it is delivered safely and looks great.